Remember that enchanting kid from Billy Elliot? 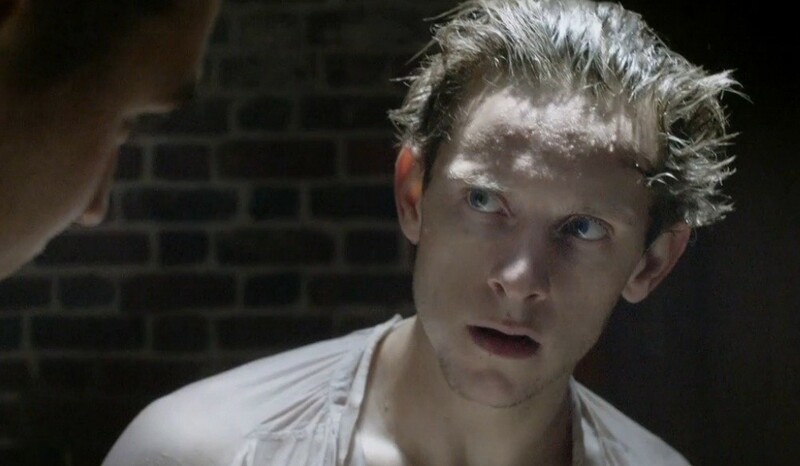 So earnest and physical and compelling…Those traits serve actor Jamie Bell still, now all grown up and starring of AMC’s Revolutionary War spy drama Turn. In it a Loyalist young man is pressured into a spy errand for the Patriots, an act that sets a number of gears turning within him and within the wheels of General Washington’s war machine. 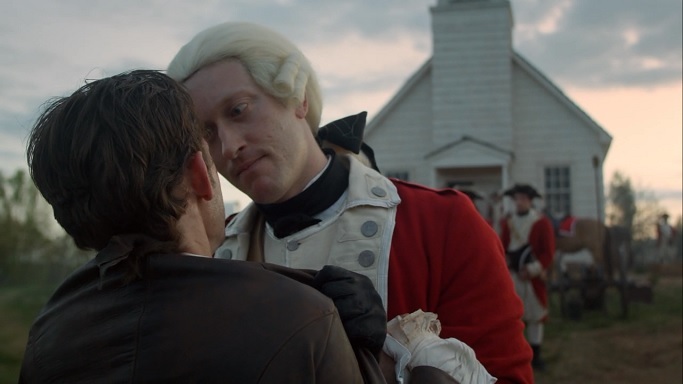 The story of season one is young Abraham Woodhull’s efforts to resist the tugs of his Loyalist father and of his Patriot friends, of his efforts to be his own man on his own terms–terms that change slowly but force, like a gathering storm. What is especially satisfying is how Abraham rides that storm, wrestles to command it rather than merely be swept up in it, how he comes to make allegiances without ever quite relenting in the self-determinism that is his most singular personality trait. Turn is particularly strong in its ability to make 18th century life both recognizable–full of real people, not national heroes nor prim puritans–and newly alive with texture. While I sometimes find the variety of settler New Yorkers’ accents befuddling, for instance, it is a welcome reminder of the recent immigrant status of some colonists and of the distance between the English we speak and what they would have spoken. The show takes viewers journeying back into a part of our imagination that many of us who are not Colonial Era history buffs have not really used since grammar school. It helps remind us how radical and even young our warriors were and how very much live a civil war the Revolution felt. The series adds just enough fresh to the familiar: Washington without the presidency and without the powdered wig; field reports featuring the not-yet-disgraced Benedict Arnold that pique our curiosity (just when did–or in this case will–he go bad?). For whatever we know to anticipate historically–pretty sure I remember the outcome of this war and it’s major battles– Turn keeps us on our toes as to the decisions and risks that our main characters will pursue. I’ll confess that over a year ago I saw a preview for the series and immediately dismissed it, thinking it looked like a fussy period piece. Then last week I streamed an episode on Netflix and went on to promptly finish all ten of the first season within a week, even on pain of falling behind an episode on my summer pet Mr. Robot. Borderline addictive, full of wartime intrigues, life-long friendships, and thwarted childhood loves, Turn delivers consistently excellent drama that’s not quite like anything else on TV. Such a discovery is always worth sharing. As is the good news that Turn has recently been renewed for it’s third season. This means you’ve got 20 installments of musket balls, whispered lies, liberated slaves, boat-rowing smugglers, cabbage farmers, cauliflower growers, and wily barmaids to stream in the meantime while looking forward to the promise seeing another stretch of fresh episodes live. I bet lead actor Jamie Bell has spent a lot of his time trying to get out from under his remarkable childhood performance as Billy, the dancing, British coal miner’s kid. His stirring work in Turn has broken that spell for me: he is now every inch the patriot Abraham Woodhull. And while still a bit small of stature, he’s also a bit of a colonial badass. Well played.